Was Adric really to blame for the show’s decline and cancellation? An examination of the possible causes leading to the cancellation of vintage Doctor Who. Adric. He might just as well have been called Arsenic. But nine years passed between the alleged poisoning and Doctor Who’s death in 1989. Was Adric really to blame for the show’s decline and cancellation? But that’s why we’re here. 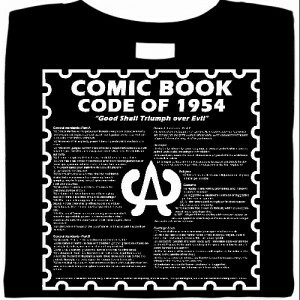 Like him or not, the Adric blog-freighter is skipping back through time to wipe out the elephant in the room. Season 18 of Doctor Who saw the introduction of the show’s equal youngest companion, played by the youngest actor ever to appear as a regular on the programme. Adric, a fifteen year old portrayed by eighteen year old Matthew Waterhouse, joined Tom Baker’s Doctor after Full Circle (October 1980). He continued on through most of Peter Davison’s first season, eventually being killed off at the conclusion of Earthshock (March 1982). Much criticism has been levelled, both at Adric the character and Waterhouse the actor, yet however undeniable the failings of each, these did not exist in a vacuum. Behind the scenes of Doctor Who numerous factors combined to shape and define the persona that Waterhouse presented onscreen. Yet, evidence would suggest that Waterhouse’s hapless portrayal, rather than being the rotten egg that spoiled an otherwise tried and true recipe, was more the lingering aftertaste of a programme being concocted on the fly and haphazardly stirred. The purpose of this blog is therefore catharsis, and an attempt to place the character of Adric — and Waterhouse’s embodiment thereof — within the context of Doctor Who’s changing production values subsequent to Season 17. 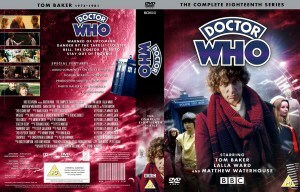 In which Tom Baker grows very old and Doctor Who starts to regenerate. In addition a host of new writers were commissioned — David Fisher being the exception — and also a number of first-time Who directors. 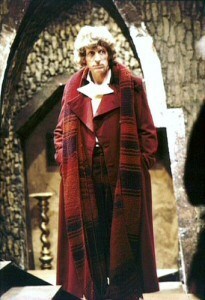 Nathan-Turner was in essence regenerating the entire programme; as the new opening theme and titles segued into director Lovett Bickford’s ninety second slow camera pan across Brighton Beach, revealing eventually the TARDIS and then the Doctor reclining in slumber beneath his new velvet maroon ensemble, viewers cannot help but have noticed a major revamping in the air. The sixties neatly encapsulated Doctor Who’s first era: William Hartnell and Patrick Troughton in black and white, each serving the best part of three seasons from 1963-1969. The seventies very nearly did the same for Who’s second era: Jon Pertwee heralded in colour from 1970-1974, whereupon his five year stint was matched by Tom Baker from 1975-1979. Baker, however, did not stop there. As the problematic Season 17 stretched into the first two weeks of 1980, its final story (The Horns of Nimon ) attracted a level of criticism that seems almost symbolic of Baker’s having overstepped the natural boundaries. With punk rock giving way to synthpop, with the advent of New Romantic hairstyles and clothes, those once hallowed moody sets appeared suddenly drab. Baker’s iconic, bohemian incarnation of the Doctor began to feel faded and dusty. For several years — or so the lore holds; true or not it makes for a good story — Baker had commenced each production block with an affirmation-seeking speech about feeling it was time for him to move on. As Season 18 loomed the new production team, in a departure from what was now a tradition, declined to talk him out of it. The first serial of Season 18 (The Leisure Hive ) was a leftover script from the previous round of commissionings, time constraints dictating its use where Bidmead and Nathan-Turner would have preferred something entirely original. Even here there was an obvious attempt to strip the story of its jokey frivolity and have it taken seriously by all concerned. Outgoing script editor Douglas Adams had, despite his best intentions, presided over stories that seemed to favour humour above all else. This situation was exacerbated by Baker’s playing the Doctor for laughs and increasingly pitching his performance to a younger audience. With the arrival of the 1980s Bidmead and Nathan-Turner were determined to make Who both more serious and more adult. Their first task was to put a stop to Baker’s antics. The result of this reining in was a season in which Baker, having made the decision to resign, played his last seven stories almost as if holding a wake for the blithe humorousness now lost to his character. 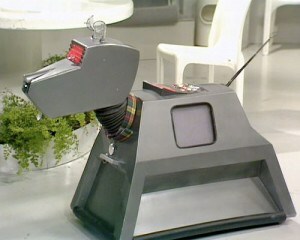 K9 was introduced on The Invisible Enemy vintage Doctor Who episode. Season 18 was brilliant in its own way but was only ever going to be a transitional phase, not the end product that John Nathan-Turner envisaged for Doctor Who. With Tom Baker’s departure everything would change again. In the meantime Lalla Ward (Romana II) also was planning to leave, bowing out when her contract expired twenty episodes into Season 18. So too was John Leeson, the voice of K9, who felt the potential of his character had been exhausted shortly after the robot dog’s introduction in Season 15’s The Invisible Enemy. Leeson had left Doctor Who at the end of Season 16. He only returned for Season 18 on the condition that K9 would be written out of the series. Nathan-Turner was happy to do so. In his opinion the dog, like the all-knowing aura of Baker’s Doctor, allowed for undemanding plot resolutions. The loss of Romana and K9 would leave the Doctor without any companions to ease the viewers past his regeneration from fourth to fifth incarnation. Although Christopher H. Bidmead denies that this was the impetus for casting three new TARDIS crew members, it must at very least have been a pressing motivation for casting one. Tom Baker and Lalla Ward may have gone through a love-hate relationship in real life but their ups and downs never detracted from the Doctor and Romana’s onscreen dynamic, which would be diluted by Adric’s early introduction. 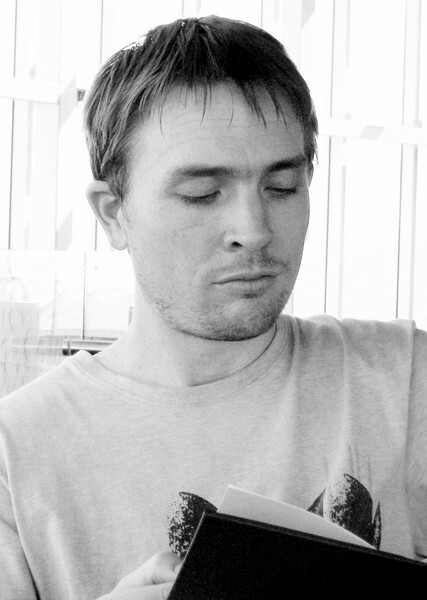 Nathan-Turner already had approached Elisabeth Sladen (Sarah Jane Smith) and Louise Jameson (Leela), both of whom declined to reprise their roles. With Mary Tamm (Romana I) having left only recently and despite repeated entreaties to stay on, there was little option now but to go with a fresh face. Tulloch and Alvarado have suggested that Adric was introduced not so much to bridge the transition from one Doctor to the next, but rather to bring vulnerability to the Doctor’s illustrious company. He would pave the way for the departure of Romana and K9 (who were too highly competent) and the subsequent arrival of Nyssa and Tegan. Given, however, the minor status of companions in Doctor Who and their perfunctory introductions and farewells throughout the show’s history, this seems more plausibly an intention that can be looked for and attributed only in retrospect. Truth be told, the new companions were brought in more on a wing and a prayer than with a view to adding a new level of complexity. Adric was the most important of the three but he wasn’t that important. Janet Fielding (Tegan) came aboard only during Tom Baker’s final outing (Logopolis ), while Sarah Sutton (Nyssa) auditioned for a one-off part in the preceding story (The Keeper of Traken ) before being invited to continue in the role for at least another three stories. Of the three new companions, the one who spent the most time with Baker and his toothy, long-scarfed portrayal of the Doctor was Matthew Waterhouse (Adric). His debut serial (Full Circle) aired third of seven for the season; his second story (State of Decay) was also the second to be recorded. If not for this somewhat jumbled schedule it would be tempting to think that Adric had been cast for a one-off appearance, like Nyssa and (originally) K9, and that his subsequent addition to the TARDIS crew was a decision made during production of Full Circle . 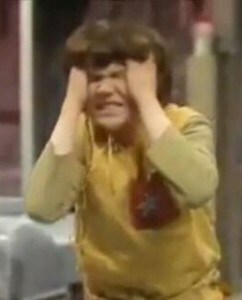 Frazer Hines had been introduced to Doctor Who this way and made such an impression — both as Jamie McCrimmon and as himself — that he was asked to stay on, playing the part for the duration of Patrick Troughton’s tenure. Matthew Waterhouse, however, did not become a companion at the last minute; nor was he mistakenly added and immediately killed off à la Adrienne Hill as Katarina (Season 3). The character description of the Doctor’s new companion was published in the Evening News — indeed, that is how Waterhouse came to hear of the part — and Waterhouse, having been contracted for five stories, made an inordinate number of publicity appearances before so much as setting foot in front of a Doctor Who camera. Tulloch and Alvarado note also that Adric’s first two stories end with deliberate ambiguities (cliffhangers of sorts). They suggest these were aimed at keeping the audience guessing as to whether or not he would be staying on as a companion. This might appear the case merely from viewing Full Circle and State of Decay , but it clearly acts in variance with the publicity campaign that accompanied Waterhouse’s casting. Adric may not have been written as if definitely joining the TARDIS, but this was not so much the result of subterfuge as neglect in the scripting phase. His importance — in theory if not in practice — is indicated by the very fact he was brought in before Romana and K9 made their joint exit. Granted, the ignominy of Adric’s character and of Waterhouse’s performance makes it seem more like Nathan-Turner was playing an April Fools’ joke on Groundhog Day; but as we shall see, the casting was both very deliberate and excruciatingly unfunny. With the times a-changing, did John Nathan-Turner set out to be Doctor Who’s saviour? Yes. He led the programme out of the frying pan and into the fire. In the history of villainy was Adric really as culpable as he was vilified? Grit your teeth; we’re set to find out… Tune in next month for Full Circle, in which Matthew Waterhouse makes his first onscreen appearance and several large intestines make the proverbial leap back up to the brain-throttling spawning grounds.